Thirty years ago, the US progressive band Cathedral released their first album, Stained Glass Stories. That was it until Tom Doncourt (keyboards) attended a King Crimson concert in 2003 and decided to put the band together again, which took a bit of tracking down and convincing. Eventually Fred Callan (bass), Mercury Caronia IV (drums and percussion), and Paul Seal (vocals and percussion), joined by David Doig (guitars) who replaced Rudy Perrone, decided to reunite. 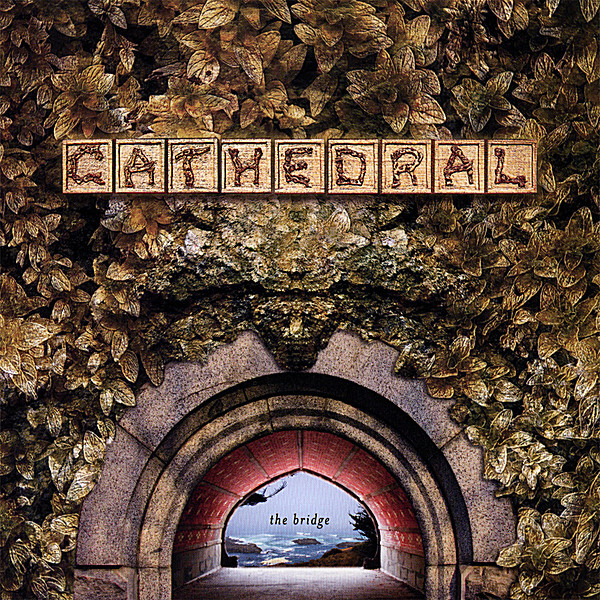 In 2007 Cathedral released their second album The Bridge on a private label, which Musea remastered and now issued on Musea Parallele. The music on The Bridge is complex and finely structured, with many songs shifting moods, tempos, and themes. As such, some people may find it challenging to listen to this disc all the way through in one sitting. If taken individually, the listener can gain a better appreciation for each song. There is an overall melodic King Crimson (Lizard, Red, and Starless) vibe running through the songs, and depending upon the song mood, Paul Seal evokes Greg Lake or John Wetton. Some of the songs are dripping in Mellotron strings bringing 70s progressive into the 21st Century. Doig’s impeccable acoustic and electric guitar solos and Callan’s talented bass work greatly enhance each song. And in the middle of all this energy is a beautiful Renaissance (era, not band) inspired acoustic guitar instrumental “Kithara Interludium.” Overall, a bit uneven, but taken in small doses, The Bridge is an excellent comeback album.